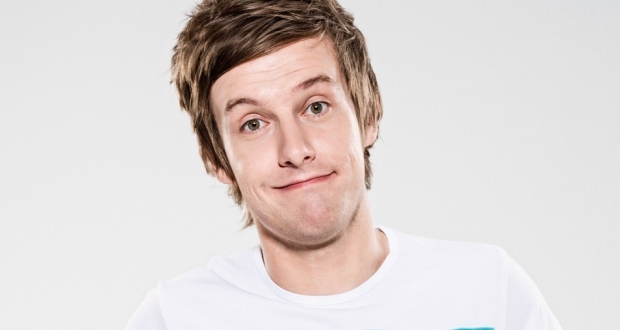 Followers of Chris Ramsey’s career will know that in 2012, he was thrown off, and subsequently banned from, Soccer AM. The clip of what happened is available on YouTube. It lasts about two minutes. Ramsey’s 2014 show The Most Dangerous Man On Saturday Morning Television is a full-length exploration into that two-minute event. For most comedians, spinning a single story out for an hour could prove to be risky, difficult, and unwise. Ramsey handles it brilliantly, however. He bounds onstage, genuinely thrilled to be playing Pleasance One, and immediately endears himself to the audience. Ramsey’s style blurs the lines between the script of the show and off-the-cuff observations of the audience – everything becoming one long stream of consciousness, delivered with a mischievous grin. Ramsey delves into his past, his upbringing, and the friends who formed his sense of humour. He flies on tangents from every step of the Soccer AM story, filling in background on each decision he made, every course of action, and each emotional reaction he experienced along the way. We learn about his home town, his family life, his current relationship (he’s now married), and come to understand how his comedic mind works. Belly laughs abound in a very strong hour from a confident, open and honest comedian. Chris Ramsey is beginning to really come into his own.